Introduction from Jon Schwartz and Tom Hensley My brother Richard is solely responsible for my playing drums (I inherited his drums when he switched to guitar,) for my first recording session (with Al Casey!) and he also pointed me to Dr. Demento, where I found a continuing career with Weird Al. If those were his only good deeds as a musician, that would be enough for me. And if touring the world and producing and playing with countless artists on countless hit records is to be his legacy, it would be more than most musicians could hope for. 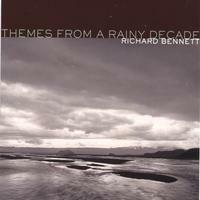 But Richard has gone a step further and treated the world to his personal works on five solo albums. 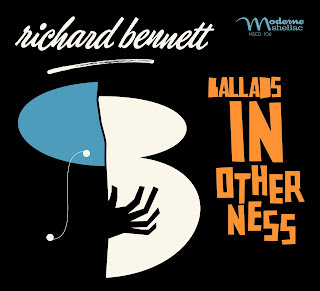 "Ballads In Otherness" is his sixth album, and another look into the heart and soul of Richard Bennett and his music. Jon "Bermuda" Schwartz, drummer for the The "Weird Al" Yankovic Band. When I was in high school in Bloomington, Indiana, a large part of my musical education came from regularly making the one-hour drive to Indianapolis to catch Wes Montgomery’s 2 am set at the Missile Room. As a result of that indoctrination I appreciate, more than most pianists, great guitar playing of all kinds. I did some early gigs with a guitarist were named Ted Dunbar, and I had lots of trouble adapting to someone else’s chord choices. I had to work hard at that when I began to do studio recording. 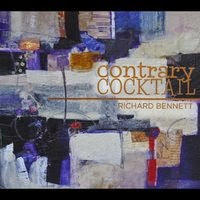 Richard Bennett’s playing straddles every genre, but I always felt comfortable playing with him because I knew he was worrying about it as much as I was. Then we both worked many years for a singer who made me realize that a “different” chord can simply consist of the previous chord, but in a new inversion. At home, my playlists always include a few of my favorite, very diverse, guitarists: Wes, of course, the celtic master Tony McManus, Johnny Smith, the Hawaiian slack-key virtuosi, and a couple of Hoosiers—fellow Wes acolyte Royce Campbell and blues monster Josh “The Reverend” Payton. 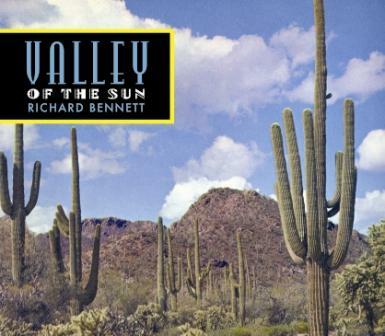 But my favorite guitar album on my playlist is always whichever one of Richard Bennett’s assortment of wonders is playing at the moment. Richard is not the kind to show off, so his albums are not the chops on parade extravaganza of others. Instead, they are crafty, clever, thoughtful collections of compositions of all types, always with some kind of memorable melodies. They wear well under repeated listenings, which is a not as easy as it sounds. That he’s adding another one to his string of pearls is great news for all of us who love spending some time floating through his world. Tom Hensley ,pianist with the Neil Diamond band . 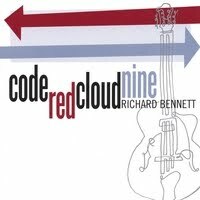 Q. Hello Richard, you recorded this new masterpiece at Tone Chaparral at the northeast of Nashville in the hills of Madison,once the residence of country legend Jim Reeves , fantasic place I heard? A : Masterpiece is probably a little hyperbolic. Tone Chaparral has a wonderful atmosphere, mostly due to George Bradfute along with all his guitars, amps, fiddles, cellos and other assorted gear that is there. The recording studio is in the downstairs portion of the house where Jim Reeves also had his home studio and doubled as the Reeves' rec-room for parties and such. It’s a very unassuming looking ranch style home in a neighbourhood full of those kinds of houses in Madison which is about 15-20 miles north of Nashville. Q. Did you use the house instruments, I heard there are a lot of instruments (even rare one) , Russian / Chinese mics and more ? A : I think over the course of the album I used one or two of George’s instruments but overall I used my own. Come to think of it I did use George’s Gretsch Country Club guitar on a song called Soul Supper. The one I’d brought, certain that it was the right one for the song, ended up being exactly the wrong guitar for that song. George wisely suggest his Gretsch and as usual he was right. August 2017, working in the studio on the new album, in between two legs from touring with Neil Diamond, picture from Nick Bennett. 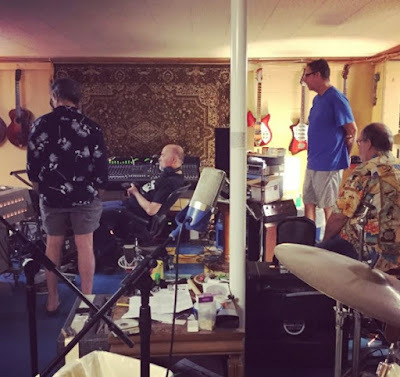 Recording Dauphine Noir, L to R in the main photo are RB, George Bradfute (engineer and studio owner), Ted Tretiak (drums) and Roger Spencer (bass). Q. The owner the great George Bradfute can make the place sounds very beautiful and he also plays many intsruments, is he on the record ? Do you remember how you met him a long time ago ? You once turned him into Bert Kaempfert and Tony Mottola ? A : Well, I think we were both listening to those records and others of that genre on our own but when we got to know each other and discovered our love for this stuff we really bonded and initially began using records like those as reference points here and there. George played bass on one of the songs this time. He’s usually got his hands full engineering, but he’s a tremendous guitar player as well as so many other instruments he puts his hands to. It was my friend Phil Lee who introduced me to George about 20 years ago although I was aware of him prior to that. Q. What were your main guitars on this album , which guitars you used on the songs ? A : I was very kindly given a John Page Classic “Ashburn” guitar a couple of years ago. 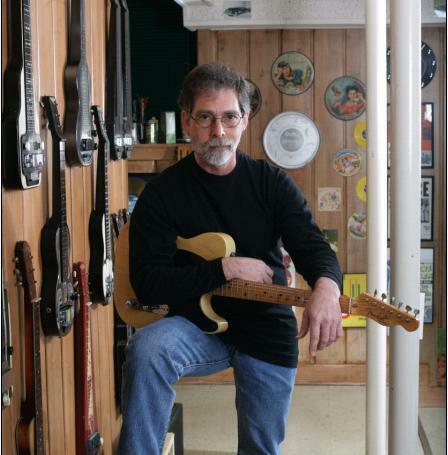 I won’t go into John’s long and rich history as a luthier but it can be found on the internet. Anyway, I fell in love with this guitar and found myself playing it all the time in dressing rooms on tour, in the studio or at home. Probably 2/3 of the record is with that guitar. I did play my 1956 Gretsch 6120 model on a couple of things as well as a custom made Barker arch-top electric from the early ‘60s. Oh yeah and a Danelectro two pick-up model on one. Q. Is that Barker guitar the one that belonged to Bobby Gibbons and Al Casey ? A : Yes, it was built by Bill Barker in 1963. Bobby Gibbons was a well known studio musician in LA in the ‘50s and ‘60s and was the original owner, Al purchased it from him in 1966 or’67. That guitar was played by Al on many hits including These Boots Are Made For Walkin’ and Everybody’s Talkin’ At Me. The Barker is a great arch top both acoustically and electric. Q. 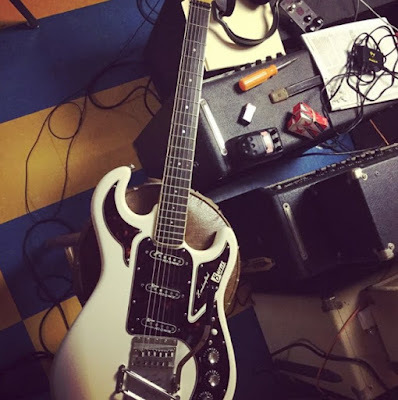 About guitars, how do you decide what guitars you take with you when you are doing sessions ? A : Often it will be the guitar I wrote the song on, but not always. The song really dictates what sound I’m trying to achieve and to that end what guitar will get me there. Q. What keys do you mostly use for your songs ? A : Usually a tune will be in the key that the original idea came to me in and I try to keep the song in that key as I write it. Sometimes a song will clearly play or sound better in different key and if that’s the case then I don’t hesitate to change it. Q. A classic question but I ask it anyway , what comes first whilst writing, the chords or the melody ? A : Usually a melody or a bit of it will come to me first. However sometimes a chordal sequence will inspire a melody. It happens both ways. Q. Do you edit the songs much in the studio whilst recording and is there space for improvisation or do you have a straight plan that you always will follow ? A : I usually have a set framework, or form for the song when I go in. I’ll have always written charts for everyone to follow that indicates that framework. While there’s always room for improvisation, I find that over the course of playing something for a while prior to recording it, I’ve already been through so many variations and improv that I’ve naturally found the best of it by the time I get to the studio. It is generally already in my head what I want to accomplish with the piece. Q. What amps did you used this time ? A : Again, I was very fortunate to be given a Tone King Falcon Grande model by the fellow who made those amps, Mark Bartel. Since that time Mark has started a new line of guitar amps called Bartel and they hold a lot of promise. They’re certainly very handsome looking and I can’t wait to get my hands on one. With the exception of one or two songs, I used the Falcon Grande on everything. Q. Did you recorded it analog on the TEAC 90-16 1-inch 16-track ? A : Yes, analog to tape. Q. Your guitar sounds very warm and has a deep tone, is it just the way you hit the string , or has it to do with the string? What strings do you prefer and I suppose most is fingerpicking on the album or is it played with a plectrum ? A : I generally try to get a rich and clean sound. Frankly so much guitar stuff is distorted.. for decades now, I’m just burned out on distorted guitars. Also, a clean sound suits the type of songs I write and record for these albums. I tend to use heavier string gauges that the usual 10-46 set that most people use. Don’t get me wrong, I use that set as well but more often than not I’ll use a set that runs 11-49 and that will be with a wound .018 third string. Certain guitars will have flat wound strings that go from 12-52. That is what is on the song This Side Of The Truth played on a Danelectro guitar. Arch top guitars will be 12-56. Again, you match the guitar, strings and attack to best achieve what is in your head or what you’re trying to achieve in the recording. For whatever reason, most of this album is played with a pick. I don’t know why because I do so much with my fingers, but the tunes on this one somehow worked out best with a plectrum. Every one is different. Q. Both you and George are record collectors with an unbelievable knowledge from the past, are there influences from the past you digged up for certain songs and wich ? A : I cannot think of any specific song on this record that we did that with the exception of an echo reference on one particular tune. George and I are at a point that we intuit each other now. Also, George might get a somewhat different sound on something and I’ll like it better than what I’d intended. You have to be open and flexible in the studio to those things and know when to go with it. Q. If it's about twang Duane Eddy is never far away , are there other great influences on this album ? A : Just the usual… I don’t know there are so many, always Johnny Smith. I could mention Chet Atkins but it’s not the thing that people immediately think of with him… the galloping guitar… driving thumb with melody on top. It’s more the very subtle ‘inside’ stuff that I like to draw from. Another influence is a wonderful guitar player from the ‘40s through the ‘60s who I’ve only recently discovered, Bill Jennings. Q. In what way Bill Jennings did influence you , he had some R&B but also had a jazz side and was a riff-'n'-pickin' player ? A : Jennings is a forgotten figure now and really never got his due when he was alive. I hear he had drug problems so maybe that was the reason, I don’t know, but acknowledgement isn’t always fair. His playing was at the crossroads of swing, jazz, jump blues and r&b and he was very cool. He played with Louis Jordan, Lionel Hampton, Jack McDuff and others as well as making a number of records as a leader. He is really worth checking out. Q. What friends or other musicians also play on this album ? A : The rhythm section for this record is the same, Ted Tretiak-drums, Roger Spencer-bass, Nick Bennett and Andy Reiss-guitars. My old friend Spooner Oldham played B-3 on three songs and the equally sublime Charlie McCoy played vibes on one thing. Q. You shared the guitar duties on Neil Diamond's tour with your son Nick and now he's on this album, how does it feel to share all this together ? A : It’s great. Really I don’t get too caught up in the dad-son thing with him, I just see him as another great musician doing his job well. But of course I’m very proud and pleased he’s taken up the family business. Q. I think the last time you teamed up with Spooner Oldham to do some recording was the Buddy Emmons tribute in 2013 for The Big E, now he plays on your new album. His music history is very huge , just like yours. On what songs can we hear his great work ? A : I’ve known Spooner going back to the very early ‘70s and was so pleased to have him play on Bo-kay, This Side Of The Truth and Soul Supper. Q. The Grammy Award winnning and Country Music Hall Of Fame member Charlie McCoy is another legend on the album, he played the vibes , another great name on the record and a joy to have ? A : Of course. Charlie is my role model for what I want to be 10 years from now. He’s a very kind, funny guy, fit, active, working, happening. I’m signing up for that. Q. I think it's for the first time on an album from you that we can hear a voice, more particulary on the song Dauphine Noir we hear a background voice, wo did that part ? A : That voice is Lindsay Bennett.. Nick’s wife. She is the singer in their band Pangs and co-writes their songs. A wonderfully talented musician and singer and I’m so glad she said ‘yes’ when I asked if she’d take a crack at this. It was just what I’d hoped for. Q. Did you ever consider to ask someone to sing on an album from you ? A : No, I’ve dug my heals in and am sticking with the instrumentals. Question for Nick. How does it feel to play on Richard’s new album ? A : It’s really a treat. Like the Diamond tour it’s such a valuable opportunity to play music not just with my dad but also his fellow musicians. They’re of a different generation and there’s so much for me to learn musically. It’s not an intense process, just by sitting in a room and strumming along to these guys it invariably shapes your own playing, for the better. It’s such a different process from recording alone at home or even in the studio with people my age. They’re all great processes, but this arrangement on Richard’s records always teaches me things I couldn’t get elsewhere. Question for Nick. On what songs do you play Nick, and is it mostly rythm guitar or are there also a few solo’s ? A : I wish I could remember the names, but Richard tells me I played on just about the whole record. It’s always rhythm duty for me. Question for Nick. What guitars do you play on the album and do you have a favourite ? A : I think the guitar played most often is my favorite: a 1930s Gretsch archtop. It was originally owned by Seymour Drugan, a staff guitarist for WGN radio in Chicago in the 1940s. Richard got to know Seymour in the late 1960s through Al Casey’s music shop in Hollywood. Al and Richard each bought one of Seymour’s Gretsch archtops around the time of his death in 1969. Richard calls one the ‘male’ (the one Al bought) and the other the ‘female’ because of the character and voice of each instrument. When Al died in 2006, his ‘male’ archtop went to Richard who kindly gave it to me. They’re together again and happily so. Seymour had the ’Drugan’ name engraved on the headstock inlay where Gretsch would normally be, so we more often refer to them by that name than what they truly are, Gretsch. Question for Nick. Do you have the intention to record something like this for yourself or will you stick with Pangs ? A : It’s a good question that deserves more thought than I’ve given it. To be honest, I do a lot of writing on the guitar but ultimately the songs are usually not guitar-centric. So there are just a handful of songs that could be stand-alone instrumental tracks. I figure if I can stack enough of those together someday I’ll cut them and call it a record, but I’m a ways off yet. My main interest is in playing guitar on other people’s records and producing my own. Question for Nick. Do you have other projects then Pangs in the pipeline, something from The Beta Macks maybe ? A : There’s some talk of working with The Beta Macks maybe but that wouldn’t be until I’m off the road. Maybe some writing and co-producing with them. They’ve been busy in the past year so hopefully when schedules align. I’ll continue writing and recording music for film and tv licensing and hope to get in the studio with other artists too. Question for Lindsay. You do some beautiful backing vocals on Dauphine Noir, how happend that ? A : Thank you! Richard asked if I was interested in doing some vocals and I immediately said yes! It's a huge honor, and I had no idea what to expect. It turned out he knew exactly what he wanted and it was a quick and easy session. That was my first time at Tone Chapparal with Richard and George, though I already knew George, too. His place is really cool. I had a lot of fun. Question for Lindsay. Do you work on other projects also ? A : Yes I've worked on a few different projects. One that comes to mind was a collaboration with a really cool producer called Party Trash a few years back. I sang on two of his songs from a record called Melt that featured different vocalists. I've worked with artist Sugar Skulls in the past. Both are here in Tennessee. For the last 10 months or so I've been working with a producer/composer friend Bill Mitchell and mutual songwriter friend Sam Rutherford. We released some new songs under the Beta Macks name (our original band with Nick) but have mainly been recording super sugary pop stuff and pitching it in the JPop world. We may release some of those songs for fun in the near future. Question for Lindsay. Do you have some favourite music and / or bands out there ? A : I've been pretty obsessed with Grimes for a few years now. She is from Vancouver and does everything herself. Her music is really catchy but in this weird way that not many people have the ability to achieve, crossing all kinds of borders and boundaries. I think my favorite lyricist of all time is Beck for the same reasons. I've been listening to a lot of the Chromatics and bands from the label Italians Do it Better. Fever Ray is really cool. Nick turned me onto this artists called Mr. Little Jeans who is awesome. There's so much great stuff out there! Question for Lindsay. Maby a difficult one, what do you love the most, singing or playing instruments ? A : I would have to say singing, as much as it's a love/hate relationship! Haha. I love coming up with melodies and harmonies, that's my favorite thing to do. The hardest part is writing lyrics that I can live with. I have never really mastered any instrument, so maybe that's why. I've played trombone, keys, dabbled in guitar and bass and they're all cool but I guess I have a bad attention span. It works out though, in this modern age of home recording. I can pick out little parts here and there and it's all fine. Q. Can we say Bo-kay is the blues song from this album, is it influenced by someone , it sounds familiar to me but I can't put the finger on it ? A : We can say it is the blues song. It’s an example of being flexible. I really was thinking about Bill Jennings and wanted to write something in that vein but it came out all wrong which probably made it better. It sort of careens into Freddie King territory here and there but not intentionally or slavishly. In the end, for better or worse, it just became my own thing. Q. This Love Remembered is a song for Christina about your marriage. Is it a song that you like to offer to her or is it a song that you wrote for her taste? A : My wife’s taste tends to run toward artist-writers, Randy Newman, Paul Simon, Harry Nilsson, Jackson Brown, etc. I like all that as well but this is clearly not leaning that way. Nor did I write it specifically for her. It was simply a tune I had and worked up into that arrangement. It was only when I began thinking of a title for it that I realised it was a love song and that it was my love song to her. Q. I notice a lot of beautiful intro's was that meant to be or did it just happen , Soul Supper has a great intro ? A : As mentioned I often have these songs for month or more before recording them. During that time I play them quite a lot discovering new things about them and in the course of that often develop these intros. The beginning of Soul Supper being one. Q. Do you play other instruments besides the guitar , you did that sometimes in the past ? A : I played steel guitar on a couple of tunes for this record. I also overdubbed an old instrument called Mandolin-Guitarophone from the 1920’s. It is neither a mandolin or a guitar but sort of looks like an autoharp though it works in a completely different way. It is that instrument you hear at the beginning and throughout Pretty Willow. Q. Do you intend to publish some "behind the songs" explanations on your website like you did in the past, I noticed people love to know whats behind a song ? A : Maybe. I don’t know that there's very much ‘behind’ this particular bunch of songs. I may simply do a overview of the album on my site. Q. You easily can ask Mark Knopfler , Vince Gill , Duane Eddy or another big name to play a few licks on your record but you don't do that. I suppose the song is the main goal for you and not the fact that you can add a few big names ? A : Yes, I suppose I could make some calls, it would no doubt make the record far better for their contributions, but I just hate like hell to bother people. Q. Talking about Vince Gill, his home studio looks huge and the number of guitars is overwhelming, it must be a walhalla for guitar players ? A : Overwhelming is exactly the correct word. It is a staggering collection of the finest guitars anywhere. Whenever I go over to play on something I don’t even bring an instrument, I simply turn up and use his stuff. Q. Once you were a Sunset Rider for Forrest Skaggs, can you tell us how that came up , it was the start for your career ? A : Well, not to make too big a deal of it, I only played a few gigs here and there with Skaggs’ band. I was his student at the time and I guess he saw some vague promise in me and gave me some good on-stage experience playing a few songs with the band on some gigs. Skaggs was very generous that way and I certainly wasn’t the only student of his that received the benefit of that generosity. I couldn’t have had a better teacher to get me on my way. I think of him every time I pick up a guitar… that box of mistakes. Q. Forrest introduced you to Al Casey from The Wrecking Crew and that was your start ? A : Not immediately, but yes. I was still in high school in Phoenix, Arizona when I first met Al. I spent a summer vacation with him and his wife Maxine in Hollywood and met a lot of the working session musicians at that time as well as going to record dates to watch how it was done. I did my first recording in August of 1968 on one of those sessions I’d gone to watch with Al and one of the guitar players failed to show up. I was recruited and that really was the beginning… nearly 50 years ago. Q. Do you ever think the time was better for musicians in the past and do you ever want to be back in those early days ? A : I think it’s about the same for musicians now as it’s always been. It’s never been an easy road to take and of course the landscape changes every generation or so. Still, people will always want to hear, enjoy and dance to music and others will want to create it. Regardless of the format, that transaction will always be there in whatever form the music itself takes. I’m very happy to be exactly where I am right now. Kind, funny, fit , active, working, and happening....that's Richard! Thanks for a great interview, revealing the many layers and complexities of how Richard creates such exquisite music.